Our graphic designers and signwriters in Christchurch know that design and branding are powerful tools for promoting your image to your customers. There are loads of benefits to having clever (vehicle) signage. Giving a smart impression is what makes you stand out from your competition. We have been making commercial signs for 20 years and our team of signwriters (Christchurch and Ashburton) can give you loads of ideas on how to turn your idle space into business growth. 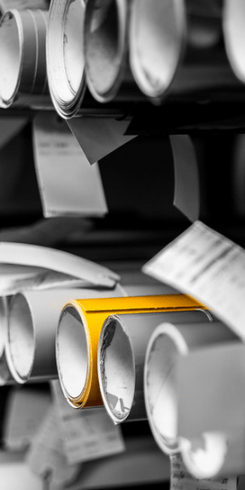 Our in-house graphic designers work with you to ensure you get just what you want. We create building, reception, directional and vehicle signage as well as exterior, interior, road, equipment and health & safety signs. We make stickers, 3D letters, flags, backlit signs, banners, panel and footpath signs. Our signwriters in Christchurch and Ashburton have signwritten buildings, windows, walls, floors, ceilings, doors, sheds, trucks, golf buggies, cars, motorbikes, helicopters, diggers, planes, boats, busses and fire engines. If you can think of it, chances are we’ve signwritten it. If you have any graphics project, contact us and one of our team will get back to you. 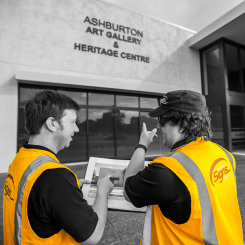 Our gallery showcases our recent work from our Ashburton/Christchurch signwriters. 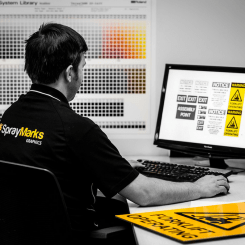 Our team of designers and signwriters are organised, efficient and keep you informed every step of the way. We offer obligation-free quotes so come and visit us at our modern, fully-equipped, temperature-controlled workshop at 22 Dobson Street, Ashburton or at our branch at 723 Halswell Junction Road. You can also give us a call so we can come to your place to discuss the signs you need to help you get noticed!